Gift for your best friend she will be happy with! Gift suggestion for your best friend! For years friends and do you want to give a superoriginal gift this year? You always score points if you have chosen something with love and care. Praise your friendship with a piece of jewelry, one for you and one for her. So everyone can see that you belong together. 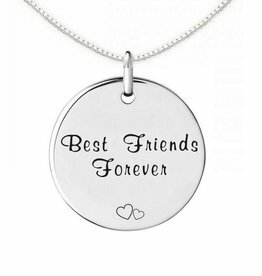 Or engrave a piece of jewelry containing your names or a nice phrase that symbolizes your friendship. Made of pure silver, forever beautiful. A necklace for you, one for your girlfriend, best friend or opt for a mother-daughter set. Together, you form a heart! If you give a symbolic gift to emphasize your friendship! Made of .925 silver, forever beautiful. A necklace for you, one for your girlfriend, best friend or opt for a mother-daughter set. If you give a symbolic gift to emphasize your friendship! Made of .925 silver, forever beautiful. A necklace for you, one for your girlfriend, best friend or opt for a mother-daughter set. Your friendship is as appropriate as these two pieces. If you give a symbolic gift! Made of .925 silver, forever beautiful. 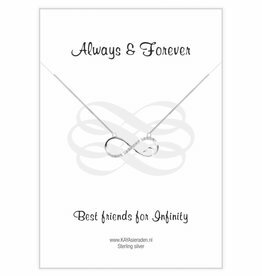 Beautiful silver silver necklace 'Always & Forever'. 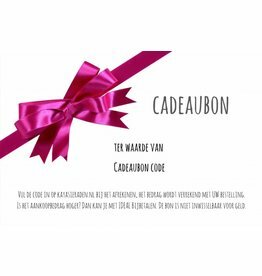 For the best mom, your girlfriend or other special person. Through-and-through made of sterling silver with a nice size. Luxury wrapped in a silk pouch. Dear silver coin made of through-and-through .925 silver. Choose one of the three beautiful lyrics. Subtle for you necklace and beautiful for an Armand. The hangers are pre-engraved, so delivery in one day! 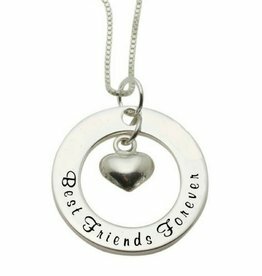 Superb pendant engraved with special text for your best friend. Through-and-through made of sterling silver with a beautiful dimension of 22 millimeters. Luxury wrapped, as ready for gift giving. One for mom and one for daughter sweet. Carry along this .925 silver bracelets that symbolize your band. Let her know how much she means to you with these wonderful words on the card. 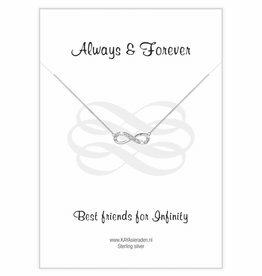 Includes .925 silver necklace with a symbol of Ininity representing infinite love. Luxury finished with 17 sparkling CZ stones. How sweet, two best friends connected by two bracelets. If you are coming every day recalled that hamam will be there for each other. Made of shimmering pearly shell beads and two engraved charms. How unique, both a brooch necklace! 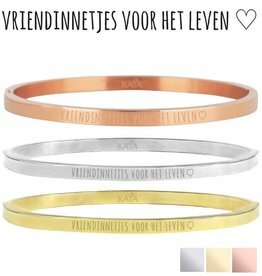 The friendship chains of KAYA consist of two silver chains, one for you and one for your best friend. Do you choose hearts, puzzle pieces or Ying Yang characters? With these chains you are sure to have a unique gift. They fit perfectly into each other, they are exactly broken by the middle. That's why we call the friendship chain as well! Are you surprised by your BFF? Then choose a beautiful text from the words of love collection. Beautiful .925 silver pendants with a symbolic text. Or choose a greeting card with a sweet text on it. An infinity ornament, the sign of infinity, is also a perfect gift. This is the place for your infinite friendship! Or make your friendship anointed with an engraving jewelery. 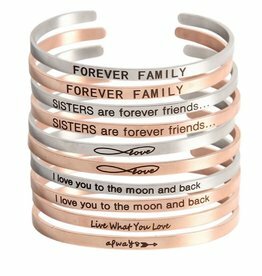 You can engrave your names in it, but also choose a nice phrase that matches your friendship. What do you choose this year for your best friend? 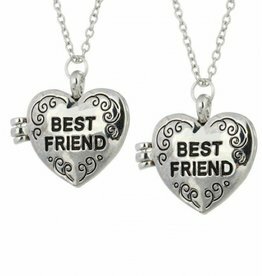 Are you looking for a gift with meaning for your best friend? 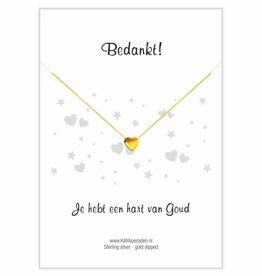 With this unique Jewelry Greeting Card you are sure to be good! 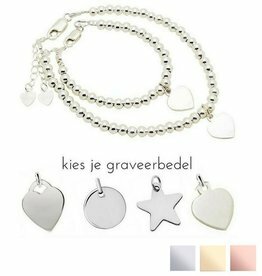 The nice genuine silver chains are the 2016 jewelery hit and the beautiful words on the card give you a symbolic gift. 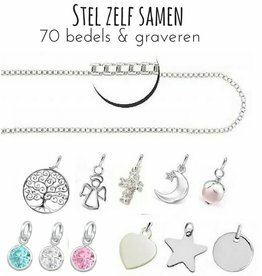 KAYA sells various designs (from € 22.95), featuring a symbolic charm. Do you sometimes find it difficult to put on a greeting card? These quotes greetings say a lot of themselves and they are there for various occasions. With the beautiful quote-jewelry cards you are always good at it. All greetings cards are luxuriously wrapped in a red gift bag with silver wiping cloth, so it's ready to give!